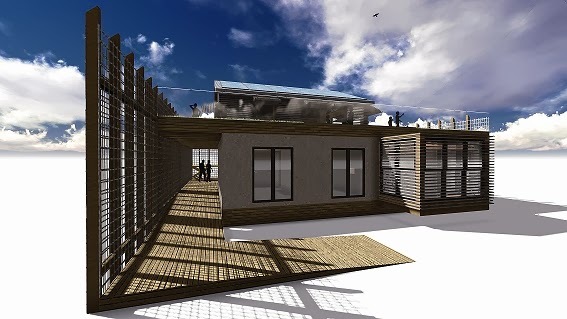 They will develop the interdisciplinary project - RETROFIX for the competition Solar Decathlon Europe competition, 2014 edition, which will take place in Versailles, France. The RETROFIX vision defines an alternative for contemporary habitation in these blocks by increasing comfort and, at the same time, making the energy consumption more efficient as well as reducing the negative environmental impacts of these neighborhoods. 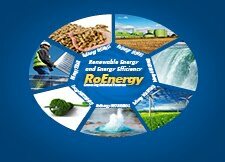 - Informing the community about sustainable lifestyle. The prototype will be exhibited at Versailles between 16 June and 19 July 2014 and it synthesizes the values of the RETROFIX vision within an exhibition pavilion . The apartment on the top level to which a vertical extension is attached (on the terrace roof) will illustrate, in a practical way, how the RETROFIX block works. 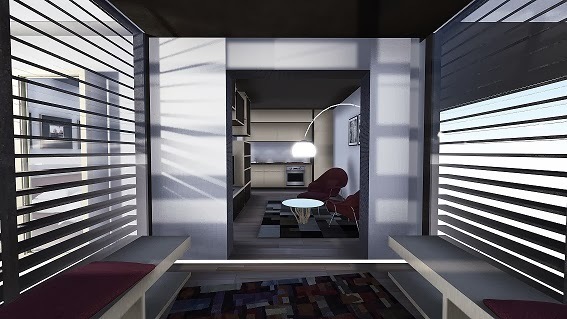 By redesigning an apartment, Retrofix focus on the individual and his contemporary living needs, demonstrating the fact that it is possible to reconfigure the dwellings designed in the 1970s in a sustainable manner to provide comfort and the necessary space a contemporary family requires. The prototype will enables to test innovative solutions proposed in the real context and the actual experimentation of the benefits that residents have from the project. At the moment, team implement a vast program of conferences, workshops, expositional fairs and other events where promote the Retrofix project together with the partners, the sponsors and the upTIM supporters. The upTIM team is on the 3rd place on the complementary list of the competition. Because of this, the Retrofix prototype will be built in the solar village, at the Versailles Palace and exhibited for 2 weeks, during the jury evaluation, together with other solar houses, built by teams of students from the entire world. Starting with January 2015, team will exhibit the Retrofix prototype in the University Campus in Timisoara, Romania, until December 2016, as a study support for all the UPT and UVT students and teachers. During these 2 years, the upTIM project will become an experimenting and education object for the future engineers and artists, promoted as a result of the research of the university environment in Timisoara, in the field of alternative energies.